If you want to sync your iTunes music to mobile phones other than iPhone Salling Media Sync comes in handy. This app can transfer playlists, music and podcasts to mobile phones like Nokia, HTC (selected models), Sony and Sony Ericsson Mobile phones. The basic applications is free to use but of you want fast syncing then you need to buy a pro version for $22. You can download the application from here. 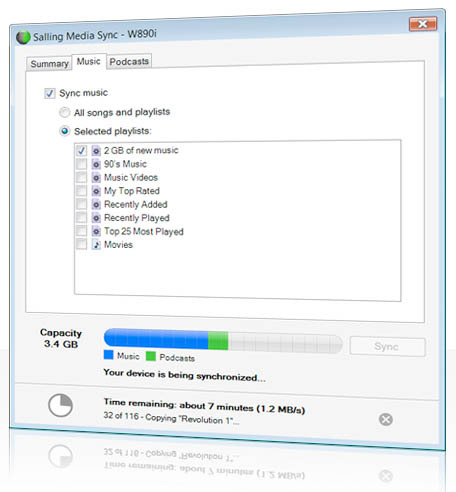 Salling media sync works with Windows XP SP2 with Windows Media Player 11, Windows Vista and Mac OS X, requires iTines 7.6.x or 7.7.x.